Are You Serious About Health? If you are truly serious about living a healthy toxin-free lifestyle filled with natural remedies for your family, then keep reading. You are always writing and telling me that you are looking for natural approaches to keeping your family healthy. That’s what Juicy Green Mom is all about! I don’t know everything but all I DO know is this, eating real food, striving to be toxin-free, and using essential oils and supplements have CHANGED our life for the better. I have never felt better in all of my life. I have more energy and I am vibrantly healthy. I no longer default to stress in my daily life. I have the oils to help me with that! So if you are still here reading and truly want to join me in this healthy lifestyle and THRIVE and not just SURVIVE, for the next 5 days ONLY (November 10-14, 2015), I am running a special promotion. The second thing is, I want your story. I want you to think about how you feel now and then after a month of using the essential oils, please email me telling me how much more energy you have and how much better you feel. So you and I need to work really hard together to make this happen! It’s a team effort, to make sure you THRIVE. If I use your story on my blog, I will send you something special to enhance your oil collection! The next step is to try the essential oils and let YOUR body tell you whether or not it works. At that point you will know if this is something you can really get behind and provide me with your story. Young Living has a risk-free guarantee. If for any reason you do not like the oils, you can return your entire starter kit and get your money back. 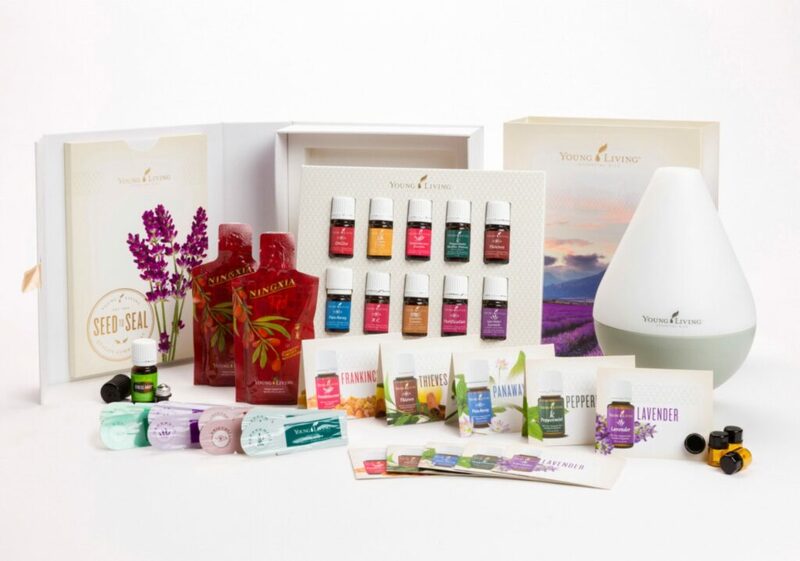 You will want to start with the most popular starter kit, the Premium Starter Kit, and it is only $185. When I think about all of the amazing stories told to me in our exclusive Facebook support group daily about how these oils have changed lives for the better, I am literally brought to my knees in gratitude! Get these oils in your hands as soon as possible and click here to get started and take advantage of this 3 day only promotion. So are you serious about health? How serious are you about achieving wellness? Are you willing to learn, work and try at something that can give you a chance? Just give it a shot; this is your chance to boost your energy and lower your daily stress and stay healthy! Will you join me on my oily journey?